This article, written by Maria Tennant, was originally posted on the Open University website on 9th June 2018. 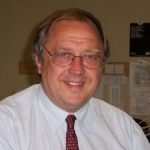 The OU’s Emeritus Professor of Education Bob Moon has been awarded a CBE in The Queen’s Birthday Honours List for his pioneering work in teacher education in developing countries. Formerly a headteacher, Professor Moon joined the OU in 1987 and was instrumental in introducing teacher education and training. The OU’s PGCE ran for 25 years and helped thousands of mature students qualify as teachers. Professor Bob Moon CBEHe then extended his expertise abroad, setting up the OU’s first international teacher training initiative, the Teacher Education in Sub-Saharan Africa (TESSA) programme. Millions of teachers in Africa have benefited from TESSA, which has become the continent’s biggest and longest running international teacher training project. For nearly 20 years TESSA has worked successfully in some of the poorest countries of the world, and its success led directly to the equivalent programme in India, TESS-India, and the award-winning ‘English in Action’ programme led by the OU in Bangladesh, both supported by the Department for International Development (DFID). The CBE also recognises Professor Moon’s advisory work on teacher education reform for national governments in several countries, including Egypt, Pakistan and South Africa. He has also advised international organisations such as UNESCO, the European Union and The World Bank. In 2009 he was elected to the Academy of Social Sciences in recognition of his contribution to education research. Professor Moon has advised the UN agency UNRWA on improving conditions in the Palestinian refugee camps across Jordan, Lebanon, Syria, the West Bank and Gaza. He is also the education specialist on DFID’s Research Advisory Group. 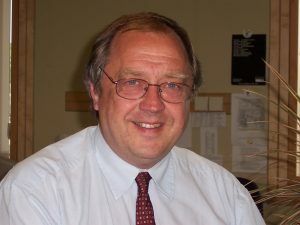 Formerly headteacher of Stantonbury Campus secondary school in Milton Keynes, and The Peers School Oxford, Professor Moon was a pioneer in moving directly from a secondary school headship to a Professorship. It’s really a befitting honour and it acknowledges the fantastic work you’ve done over the years. Hearty congratulations. I was fortunate to work with you on the book you edited on teacher education where Shyam Menon and I wrote a chapter on Indian Teacher Education. Leave a Reply to Rama Mathew Click here to cancel reply.